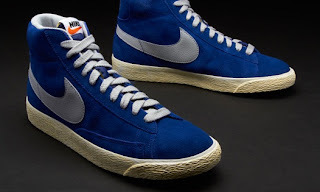 These classic Nike Blazer Hi Suede Vintage trainers are the proud re-issue of the iconic 1973 basketball shoe worn by NBA legend George 'Ice Man' Gervin. Finished in vintage effect and constructed from premium suede Nike is looking to go back to their roots with the release of this new Nike Blazer Hi Vintage pack. These brand new Nike Blazer Hi Suede Vintage trainers are another reminder of how they have earned this title. 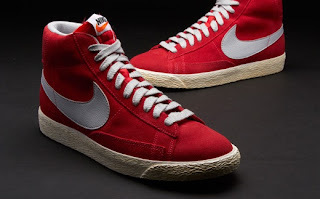 Their vintage collection is second to none and these new Nike Blazer trainers arguably sit right at the top of the pile. The outer sole has a vintage 'pre-worn' look with faux scuff marks which sits perfectly alongside the premium suede uppers. The suede upper creates the washed out look that gives the Blazers their vintage look and feel.